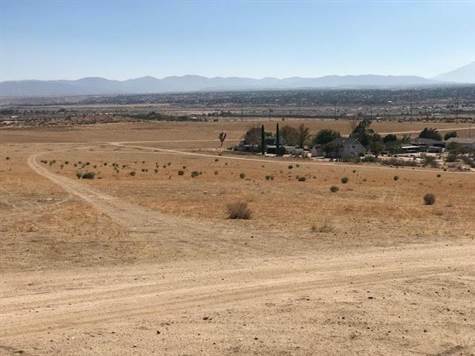 For Sale 40 Acres vacant land located on Grande Vista Street, Apple Valley. Major cross Street: Deep Creek Road. South of Bear Valley Road. Topography: combination of level, rolling and hilly. Power on the street. Zoning: 20 acres zoned Low Density Residential 1 du/2.5 to 5 gross acres and the other 20 acres is zoned Planned Residential Development. Buyer to verify.